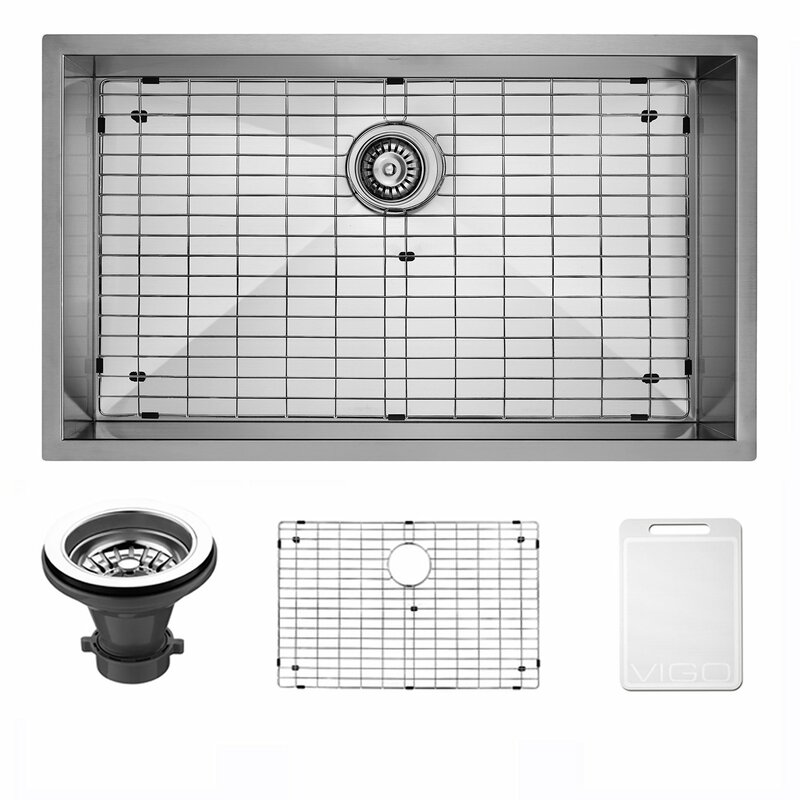 While we have reviewed many VIGO sinks on our site, the VIGO VG3019B deserves special attention, as it comes with an advanced sound-absorbing technology, a sink grid and a removable basket as free accessories. There are few stainless steel sinks in this price range that offer the kind of value that the VIGO VG3019B does. However, it doesn’t compromise on any of the important factors that greatly influence your user experience as a trade-off. In fact, a customer went on to say in their review that it’s easily comparable to a Blanco, which is priced four times as high as this gem of a steel sink. And we definitely agree with their assessment, given the 16 gauge steel construction, innovative sound-deadening technology, and accessories like a sink grid and a removable basket. The VIGO VG3019B is handmade using a high-quality 16 gauge steel. It’s designed in a way that makes it look modern and stylish, but while also improving its durability. Furthermore, it sports a commercial-grade satin finish, which only VIGO seems to offer at such super low prices. The satin finish not only makes the sink look gorgeous but protects it from rusting, which is a common concern when using a stainless steel sink. Just to give you an idea of the kind of durability it brings to the table, the 16 gauge steel used to make it is thicker than a Blanco steel sink. 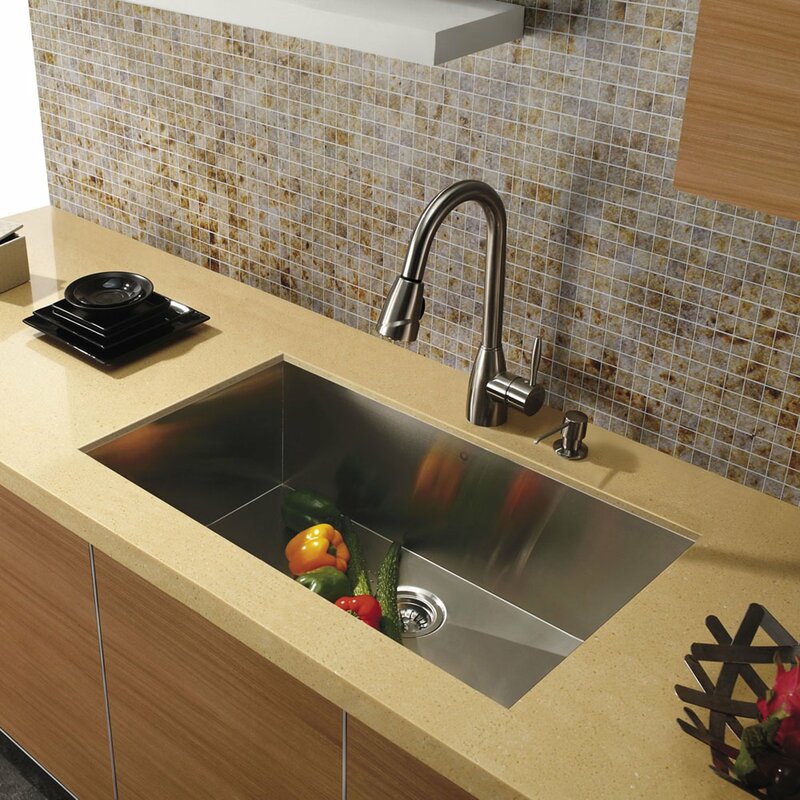 This sink boasts VIGO’s innovative sound-deadening technology known as SoundAbsorb. This helps deal with another common issue with stainless steel sinks: noise. While it doesn’t completely eliminate all the noise, the sound-deadening technology does minimize it to an extent where you wouldn’t find it annoying at all. On a side note, you would likely end up getting better sound insulation with the VG3019B than with a much more expensive Blanco steel sink. It’s a very large sink with a huge amount of depth. This means that it would not struggle like many other stainless steel sinks in this price range when it comes to accommodating things like giant pans and pots. Needless to say, this is a rare luxury to find in double bowl sinks as well. In addition to that, it doesn’t look ugly either like some large sinks. 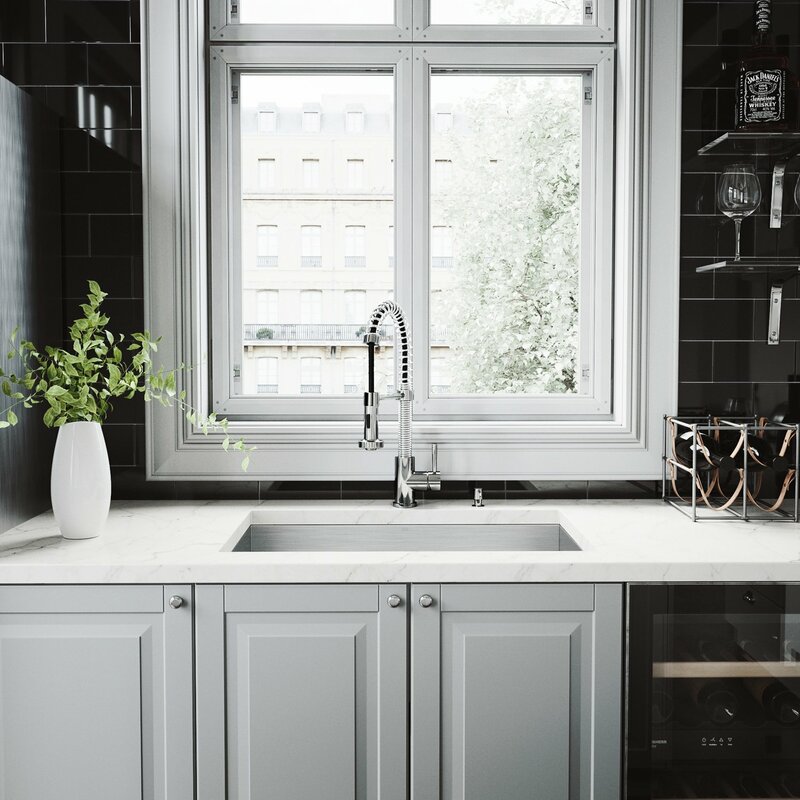 The size often takes away from the looks of a sink, but not with the VG3019B. It’s designed in a way that allows it to use its spaciousness to look even better. If your kitchen has a modern theme, this sink would be a perfect fit for it. The grate goes a long way in preventing the sink from getting scratched. Like most stainless steel sinks, the VG3019B gets scratched as well but using a grate all the time would definitely help minimize the scratching to a great extent. It also keeps the sponges from ending up getting soaked in water, which is often something annoying to deal with. Stainless steel sinks usually call for a more demanding maintenance, and the VG3019B doesn’t manage to be an exception. In fact, it’s probably even harder to clean than many of its other steel counterparts, due to the extra tight corners. This is because they attract small pieces of food, which then get stuck to the corners and simply spraying water on them isn’t very effective. In other words, you may find yourself spending more time and effort to clean the VG3019B. We would absolutely recommend the VIGO VG3019B if you can deal with the little hassle that its extra tight corners cause. It’s being offered at a great price, is a very high-quality 16 gauge steel sink, and also comes with a sink grid and removable basket, all while being priced very affordably.